When you're trying to get your daily dose of greens, wheat grass may be the most healthy option available. 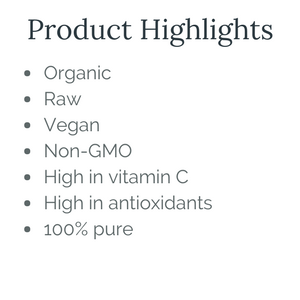 This true superfood contains a powerful blend of enzymes, amino acids, essential vitamins and minerals, and phytonutrients that tops the charts in comparison to other grasses. Our Organic Wheat Grass Juice Powder comes from the potent juice of an energy-rich grass that cleanses, detoxifies, nourishes, and heals. Eating your “greens” is one of best ways to fill up your body with vital nutrients, many of which have strong antioxidant and detoxification properties. When you want a break from your traditional leafy green meals, our Organic Wheat Grass Juice Powder is a true superfood that has a myriad of health benefits associated with greens like spirulina, kale, and alfalfa. Wheat grass, however, contains a special trio of compounds that are rarely found in one food source. Our Organic Wheat Grass Juice Powder is harvested at the peak of its life cycle, when the new growth of the grass is about two weeks old. At this stage, the sun’s energy has infused the delicate blades of grass with some of the most powerful weapons for full body healing. We’ve brought this natural gift to you in our emerald green Wheat Grass Juice Powder. Wheat grass is one of the richest sources of nutrients on the planet. It not only contains 20 amino acids, including all nine essential ones, it is packed with crucial vitamins, such as Vitamin K, which promotes good blood health. Our Organic Wheat Grass Juice Powder is also a great source of Vitamin A, C, and E, as well as magnesium, iron, and calcium. Wheat Grass is rich in living chlorophyll, a substance that balances the pH of the body and helps detox organs. Studies have shown that wheat grass an effective liver and intestine detoxifier, removing chemical neurotoxins that compromise the blood and the gastrointestinal tract. Our Organic Wheat Grass Juice Powder is a rare source of a special compound known as Superoxide Dismutase (SOD). This enzyme is one of the most powerful defenses against chemically reactive molecules (free radicals) that damage cells and cause cancer. 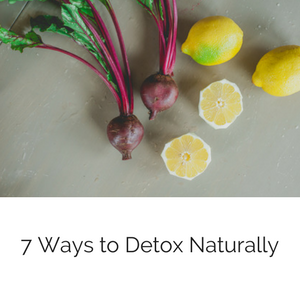 Free radicals invade the body through pesticides and herbicides, ozone contamination, nutritional deficiencies, injuries, UV gamma rays, and toxic metals. SOD acts as an antioxidant that helps the body to repair itself quickly. SOD has been known to slow the effects of aging and reduce inflammation in the body. Another extraordinary compound found in our Organic Wheat Grass Juice Powder is the enzyme P4D1, the first substance known to stimulate the repair of DNA molecules. P4D1 does two important things. The super enzyme makes it possible for diseased cells to heal themselves so that they can go on to produce “good” cells. Even more amazing is the fact that P4D1 has been shown in laboratory tests to eat through the protein sheath of cancel cells so that white blood cells can attack and destroy them. Our Organic Wheat Grass Juice Powder is one of the only food sources of Glucosaminoglycans (GAG’s), which form a compound in the fluid lubricant in body joints that is vital to their effective performance. GAG’s are also present in the connective tissue, tendons, and cartilage in the human body and our Wheat Grass Juice Powder contains necessary support for proper joint and tendon function. Wheat Grass is a powerful cereal grain that was first cultivated in ancient Asian and Middle Easter cultures. The young grass was promoted as a food source, but was revered for its healing properties. Our Organic Wheat Grass Juice Powder has a moderately mild taste, and many find it even more palatable when mixed with flavorful citrus juice or combined with a freshly juiced apple. Don’t mistake our Organic Wheat Grass Juice Powder for Wheat Grass Powder. 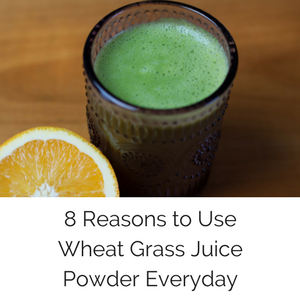 Our Organic Wheat Grass Juice Powder comes from wheat grass that is first juiced to remove the plant fiber, and then the nutrient-rich juice is dehydrated at low temperatures and gently milled into a fine powder. You’ll find that just one teaspoon of our Organic Wheat Grass Juice Powder turns juices, shakes, and smoothies into power meals. Good product. Very potent and easily dissolves in water. May have to develope taste for product but good over all.